I have had one week to reflect on what happened last Saturday. However, I still cannot believe it. 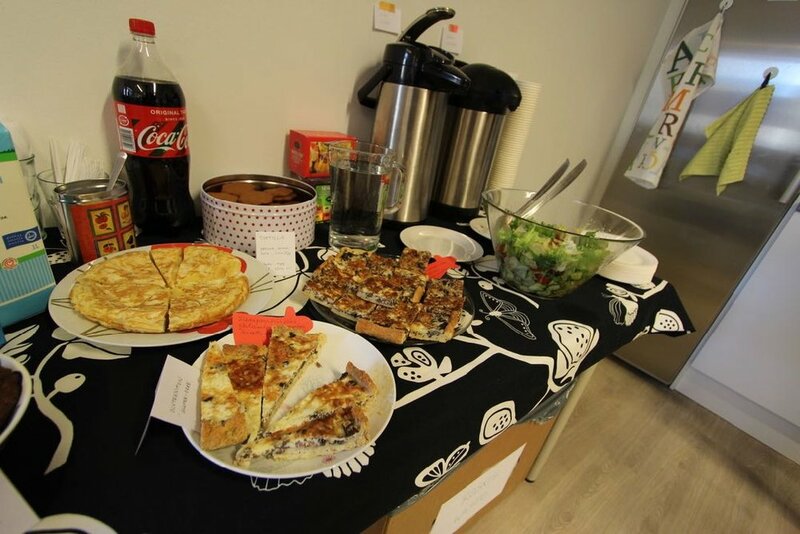 We prepared the opening party thinking that only some friends and family would come, and we were mentally ready to be alone most of the time, but the reality is that there was people in the studio all the time! What can I say about the party? Maybe that the amazing Elli agreed to have a pop-up store during the opening. 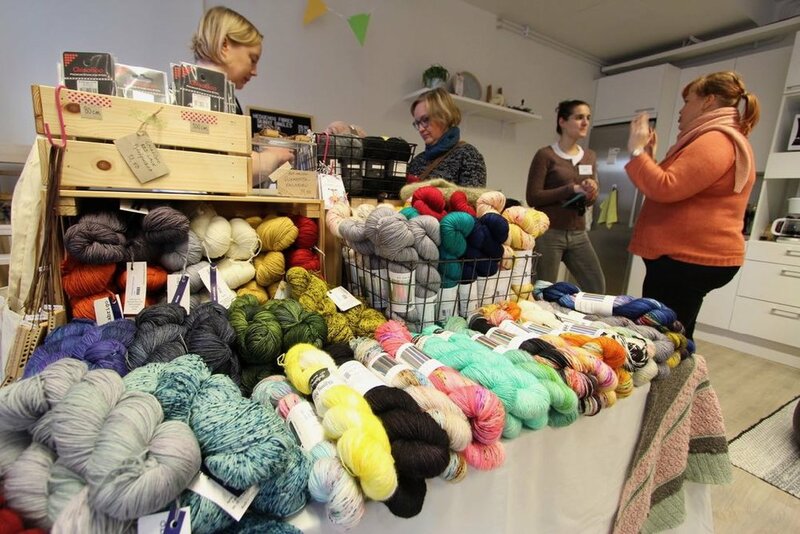 She has a cozy yarn shop in Tampere called Lankaputiikki Silmukka. We called her with less than one month of notice but she was very kind and she accepted our invitation. 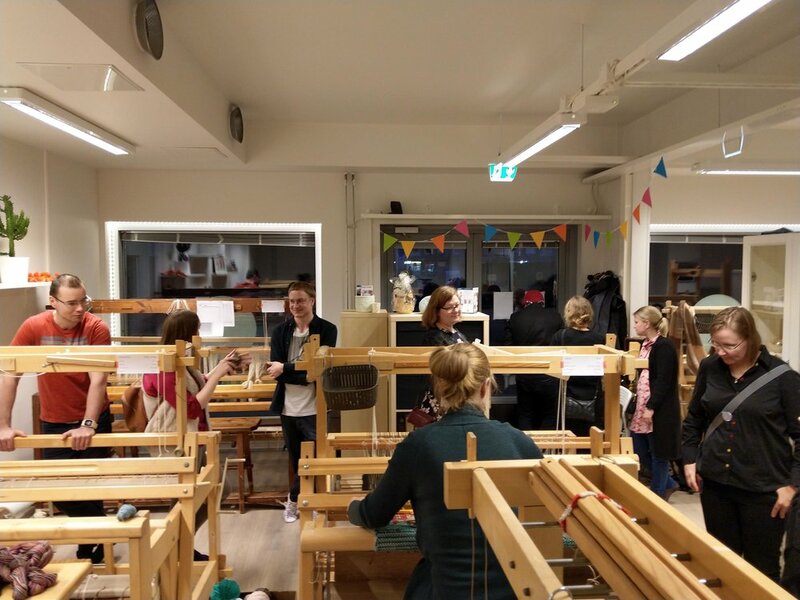 Also that many knitters came that day to relax in our cosy corner, and some people tried rag rug weaving in one of our looms. But hey, less talking and more pictures. Here are some of the pictures we took that day. Probably there is one tiny detail that nobody realised. For me it was a happy/sad day. I was happy because the opening meant a new chapter in my life. However, I was sad because my parents and brother couldn’t be here with me. This is always the worst part of living abroad, not being able to share happy moments with your family. And I am writing this with tears in my eyes, even though I should be used to it after so many years. However, I am very grateful for all the friends who came that day, many of you are like family to me. Thank you for visiting us during the opening. We are looking forward to seeing you soon back in the studio! Remember that we are having a Rya Rug course in January, there are only 3 spots left! More info here.